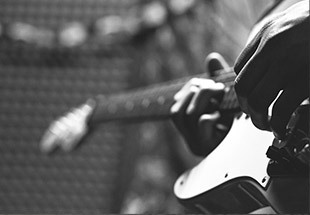 With our large selection and ordering capacity, we’re here to help find just the Instruments and Accessories that are right for you. 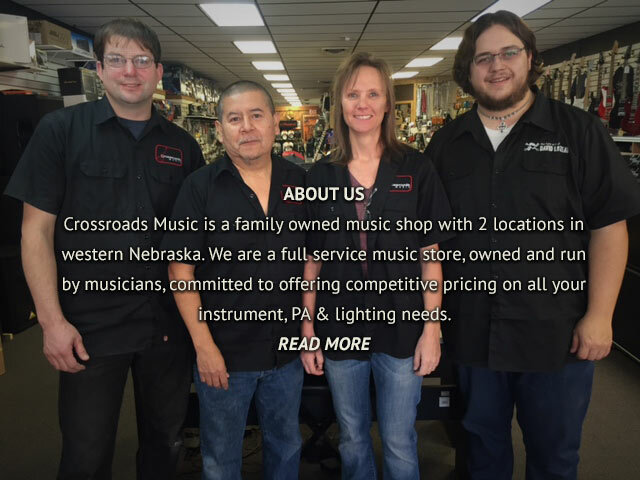 We’ll bring your Band, Orchestral Instrument or Guitar back to life. Sometimes there’s not much more that needs to be said. Come visit our showroom and play some fine guitars. We’ll be glad to help you find your new best friend. 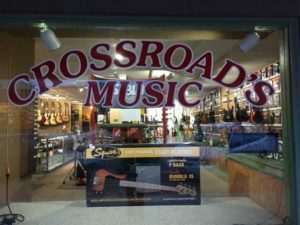 Get your Crossroads Music Credit Card, and go home with your new instrument today. 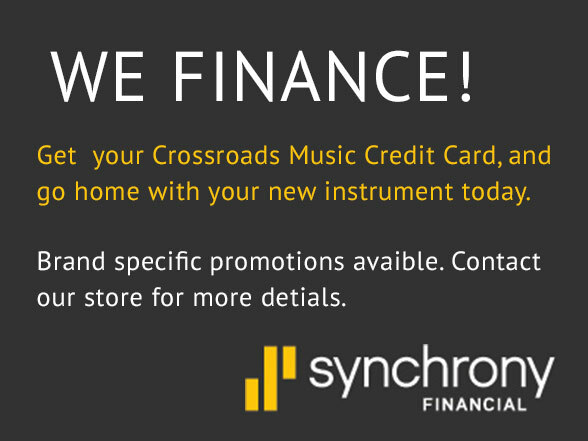 We’ve teamed up with Brands like Roland, Yamaha and Taylor to offer you unbelievable financing promotions. 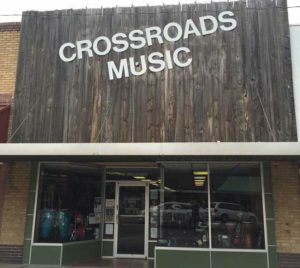 WELCOME TO CROSSROADS MUSIC. HOW CAN WE HELP? 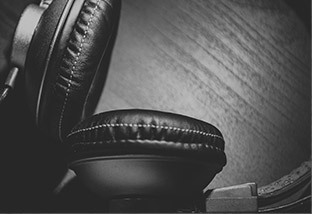 We are musicians ourselves, and understand what it takes to find the instruments that fit you best. No matter what you’re in the market for, we’ll work to find the right products, at the best price. Every time. With 2 Locations, huge Selection and Ordering Capacity, Online Shopping, Financing and top notch Customer Service, we’re determined to help you find what you need, without hassle. sure to fit your needs, your style AND your budget. and our Taylor Buying and Fit guides. Find great deals by clicking the button below, Order & Checkout online, & get your new instrument delivered right to your door!